Diablos MC is an international motorcycle club which was founded in 1999 in Asia. The first chapter opened in Pattaya, Thailand. At that time half of the founders were europeans and half was local residents. 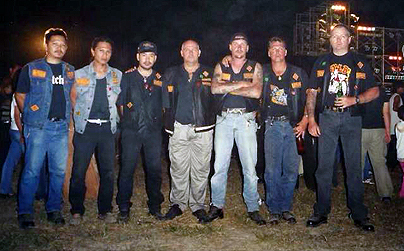 To Europe Diablos MC arrived in 2000, and to Nordic countries in 2001. Diablos MC broadened to a totally new continent when the first chapter of Australia opened up in 2014. From the very beginning Diablos MC has had a good relationship with the Bandidos MC. Nowadays Diablos MC is part of the red and gold family by being a support club to the Bandidos MC. 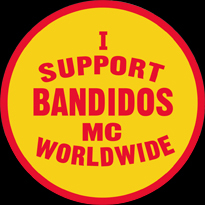 In the recent years many members and also full chapters have turned in to Bandidos MC all over the world. Currently Diablos MC has several chapters in twelve countries and three continents and the amount of members keeps growing steadily. Welcome to our new chapter Cambodia.